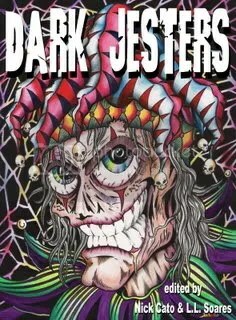 I’m very happy to discover that my story “The Plague of Gentlemen” will feature in the Dark Jesters anthology coming from Novello publishers next year. Edited by Nick Cato and L.L. Soares, it also features tales by William A. Veselik, David T. Wilbanks, Laura Cooney, Jerrod Balzer, Sam Battrick, Robert Guffey, James Roy Daley, Rob Brooks and Mark Justice. Looks good and it’s also nice to share a TOC with me old mate Dave Wilbanks.